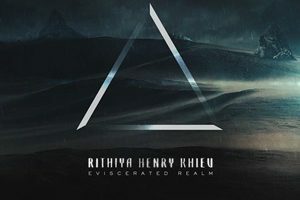 Coming on my aural radar screen through his recruitment to Let Us Prey, guitarist Rithiya Henry Khiev has quite a pedigree in the progressive thrash/death fields through his work in Alterius and Mortis Deveia. Securing many notable musicians across the New England metal scene and beyond, The Finite Cycle is a five song EP that features more of his creative content on an instrumental and vocal-oriented basis, giving the listener a broad swath of axe skills and styles that sit in a heavier, progressive/melodic death veneer. 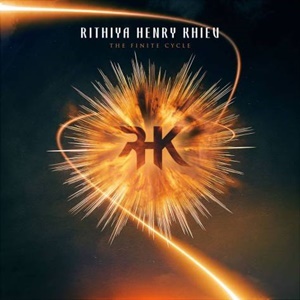 Layers of rhythm guitars and sophisticated arpeggio sweeps plus melodic runs are part and parcel of Rithiya’s outlook when taking in instrumentals like “Voyager II” and opener “Industrial Demise”. The former contains an interesting stunted, djent element that against the smoother, slower jazz-like guitar melody provides a deeper emotional connection to the subsequent hooks – while the latter crushes in that Nevermore meets Soilwork/Arch Enemy template, the blast beats and subsequent speed picking jaw-dropping in terms of the execution. The title track and “Maelstrom of War” feature Solium Fatalis vocalist Jeff Demarco, and both are explosive melodic death metal songs that illustrate Rithiya’s chops in that mid 90’s mold where American bands like Death were getting more intricate, and the European scene focused on those key twin guitar lines to capture audiences striving for heaviness and memorable songwriting. Guests range from ex-The Black Dahlia Murder guitarist Ryan Knight to Armageddon guitarist Joey Conception, Seven Spires drummer Chris Dovas, and others – giving Rithiya a well-rounded attack to his ideas and execution. The appeal can gravitate towards the guitar shredding community in spots, but overall The Finite Cycle injects atmospheric/symphonic textures and slower sections to let the material breathe for dynamic impact. At 22 minutes, this EP doesn’t overstay its welcome – and should be ideal for most in the melodic death/groove metal community who need that progressive, neo-classical guitar flair to their material.